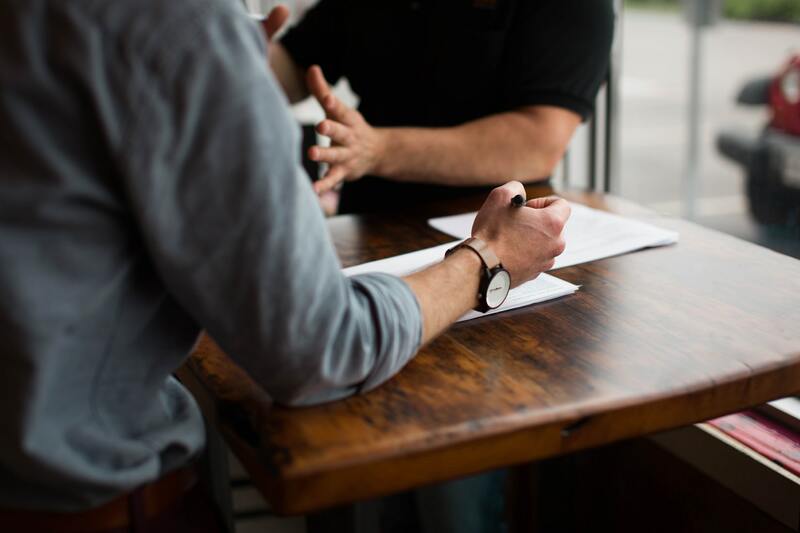 The Hessel Group acts as the umbrella company for five different business units, including nannySA, Enhance Training and Recruitment, Green Shoes and Hessel International. Over the past 20 years, they have developed innovative options to assist families with home-based care and have become an integral partner to many families and community services. The Hessel Group approached The Digital Embassy to digitally represent and re-align their five business units into one powerful online website – which has eventuated in a massive 1300% increase in traffic. In working with The Digital Embassy, the Hessel Group had found a suitable digital provider to redevelop, redesign, and refresh their website and its associated content with the goal of increasing market share and engagement with customers. One of the key business challenges for this project was how to represent the re-alignment of five brands and business units online that had become part of the Hessel Group. It was therefore essential to understand the common elements and services of each business unit and how these could be consolidated effectively to best cater to the various needs of users. A digital business transformation strategy was adopted to support the new information architecture required. This allowed the content to be reprioritized to simplify the user experience and reflect as a single story. 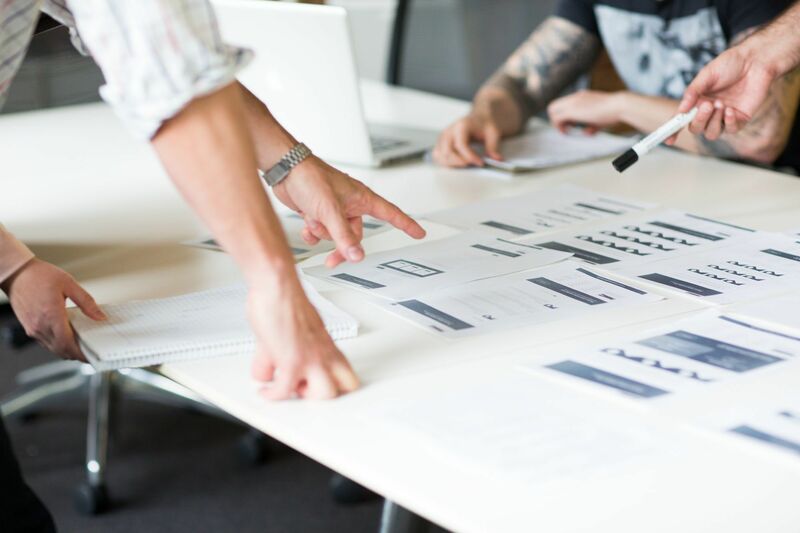 To ensure a successful outcome was achieved, The Digital Embassy undertook an extensive Content Planning process which would support the new website architecture. This established how the sub-brands would be represented on the one site and how users who arrived at their site were able to easily navigate the various services. The Digital Embassy marketing team worked to define and establish how the website could be optimised to inform and engage visitors to the site and guide them towards key conversion points, such as babysitting services or various short courses. The Digital Embassy consulted with the Hessel Group to interpret their vision for the new site and map out the new information architecture and functionality that would form the basis of the new design and development requirements. In parallel, carious digital marketing activities where initiated to create awareness around this exciting business transformation by the Hessel Group to new and existing clients. A project timeline was established, which enabled the creative and marketing components of the project to start, while in the meantime, the website development commenced. As part of the awareness driven inbound marketing initiatives, The Digital Embassy created and launched an interim landing page designed to present content that explained what business changes were happening and how they would benefit clients. 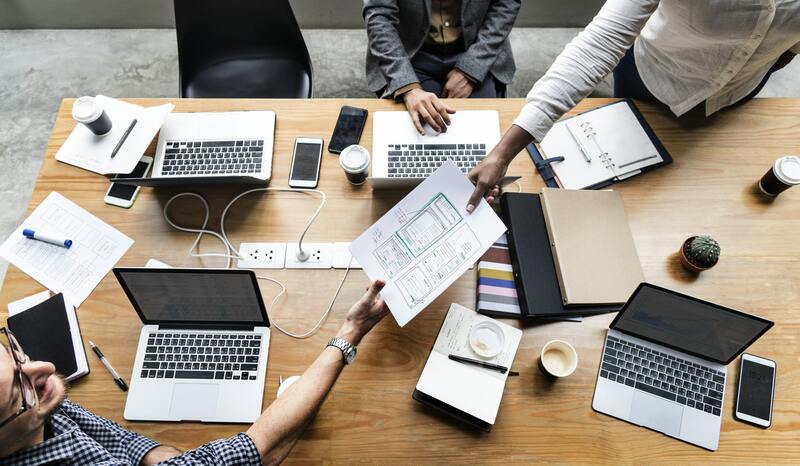 A key objective of the landing page initiative was to educate consumers and create excitement and interest around the transitioning business in order to generate interest which would result in driving traffic for the coming website. The landing page also provided an opportunity to introduce new branding elements, while still connecting to the five existing business unit websites. 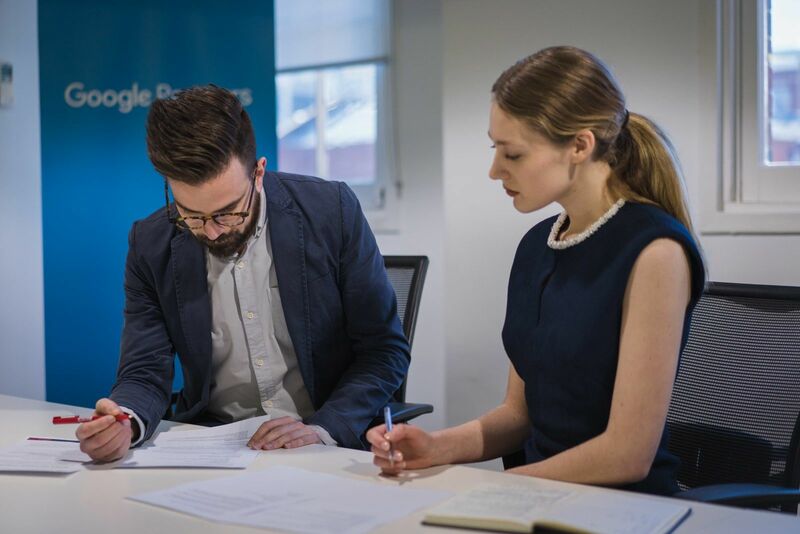 The Digital Embassy’s marketing team performed a content audit for use on the new website which was then taken to the customer for stakeholder feedback. Based on this feedback, an optimised template for information and content was created for the website. Special emphasis was placed on keyword density and establishing calls to action to drive strong lead generation. Relevant content areas were accompanied with social media sharing options, so website visitors could recommend services to others. The new website underwent a complete design refresh to bring it in line with more contemporary trends and reflect the new Hessel Group branding elements. 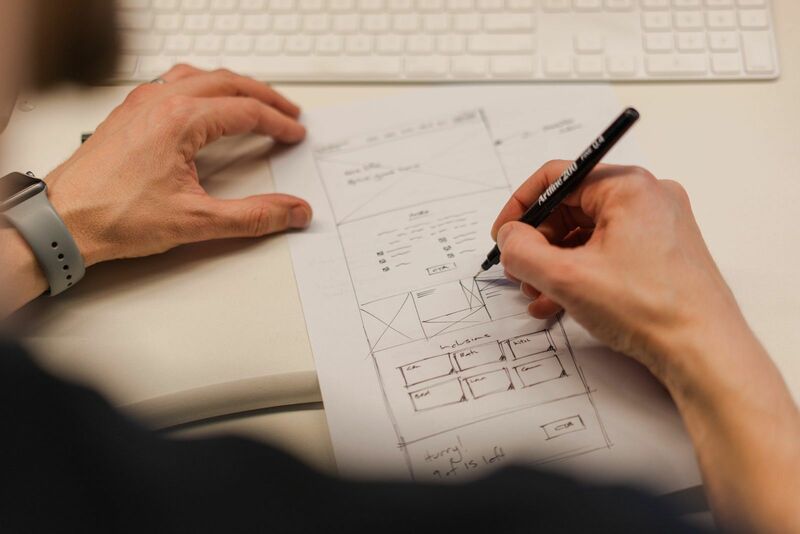 In addition to the interface design considerations, the user experience of the new website was carefully assessed for functionality, useability, navigation, content structure, accessibility and system architecture. The aim of the assessment process undertaken by The Digital Embassy was to identity and implement changes to measure and improve the overall user and management experience and effectiveness of the website. The new Hessel Group website was developed upon a responsive framework to become mobile compatible and provide a highly user intuitive experience when viewed on mobile devices. The introduction of the modern responsive framework will ensure a rich and immersive experience for users on all devices. Key system functionality, such as a specific login section that provides content to students or carers, was developed in conjunctional with Hessel Group stakeholders. 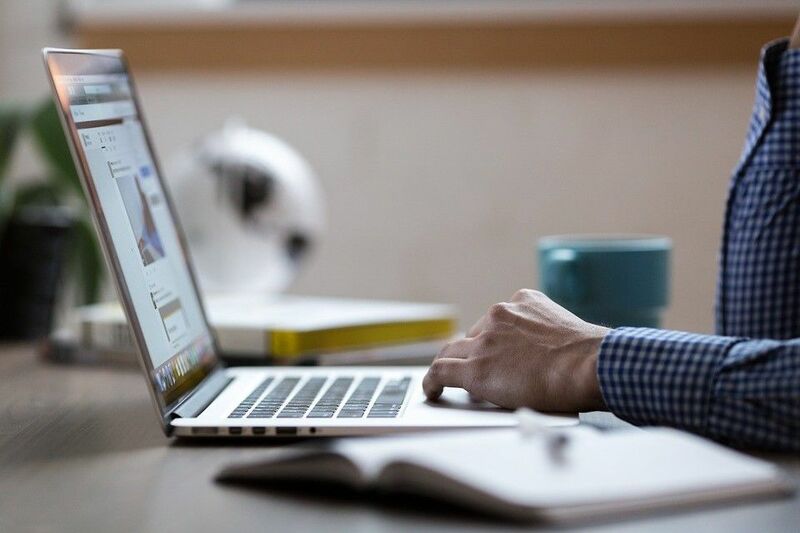 The aim of this feature was to reducing staff workload and increase efficiencies by transitioning what was previously offline tasks and processes to an online service. 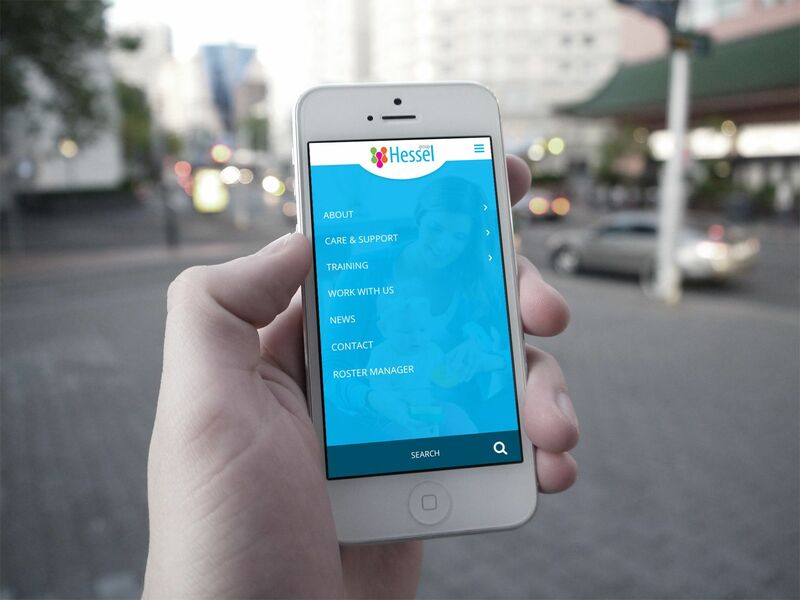 The Digital Embassy has developed a new mobile-optimised Hessel Group website that takes advantage of the latest technology, has a responsive look and feel and is tuned to deliver optimised search results. The impact of this new online environment for the Hessel Group has been significant. Additionally, the total cost of ownership has been significantly reduced as consequence of the new website representing all 5 brands. 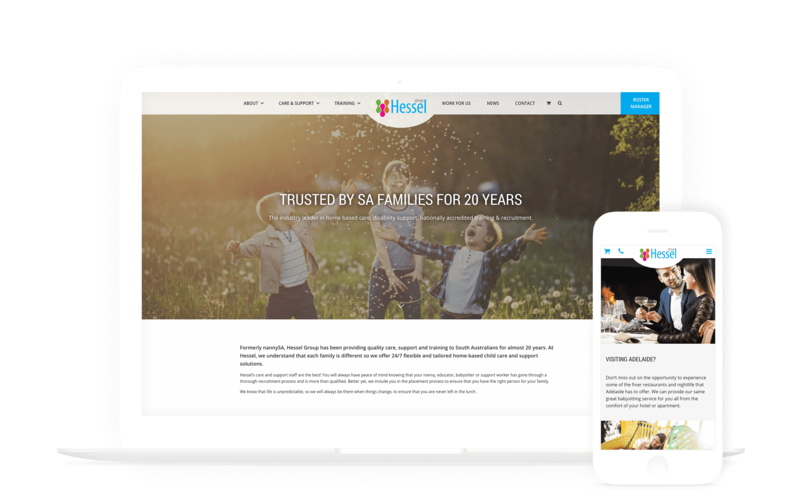 One Hessel Group website has outperformed five business unit websites whilst reducing management overheads and hosting running costs. Based on Hessel Group’s new strategy to combine the five original websites into one and turning it into the primary site, the total amount of traffic was merged and resulted in a 1300% increase after launching. The modern responsive framework has made the Hessel Group website a rich, immersive experience that is enjoyable on all devices.